Public lighting Master Plan , "Diputació de Barcelona" Public Space Department. DESCRIPTION: Public lighting Master plan for Sant Salvador de Guardiola city council. 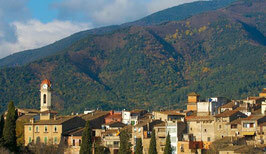 The project scopes are defining technical conditions and characteristics of the public lighting service of the Town. 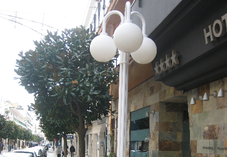 The proposals are defined to improve the energy efficiency of public lighting. Executive Project for the improvement of the energy efficiency of public lighting, "Anglès" City Council. DESCRIPTION: Executive project of the energy efficiency of the public lighting for the city council. All the energy efficiency improvement proposals and all lighting replacement costs are included in the Bill of Quantities and in the estimate. The project analyse the expected economical savings according to each energy efficiency proposed action. 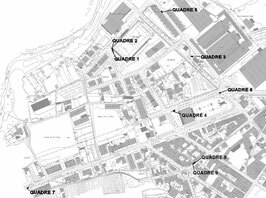 Preliminary project for the improvement of the energy efficiency, Anglès, Amer and "Flaçà" city councils. DESCRIPTION: Energy audit of the public lighting, including energy saving proposals are defined in order to improve lighting, estimating the works costs, analysing the profit of each proposed measure and calculating energy and economical savings of each proposals. Action plan for sustainable energy in the municipalities of Bescanó, Sant Gregori, Fornells de la Selva and Sant Joan de les Abadesses (PAES). DESCRIPTION: Drafting of 4 different PAES, including the preparation of the reference emission inventory plan of the year 2005, the analysis of the energy consumption of the municipal facilities and facilities of the year 2011. Basic audit of the most significant equipment and public lighting facilities, planning the actions to be developed during the 2012-2020 period in order to reduce the CO2 emissions of the municipality by a minimum of 20% and scheduling a plan of investments to execute them. 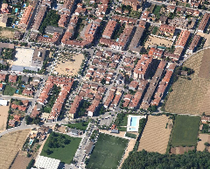 Energy audits of the public lighting, Bescanó and Sant Gregori City Councils.